William T. Young graduated with high distinction from the University of Kentucky in 1939 with a Bachelor of Science in mechanical engineering. After a short employment with Bailey Meter in Cleveland, Ohio, he served as a captain in the U.S. Army from 1941-45. Upon returning to Lexington after World War II, he founded W. T. Young Foods, Inc., a company that became one of the nation’s leading producers of peanut butter. Mr. Young sold his business to Procter and Gamble in 1954, but continued to manage their peanut butter manufacturing operation until 1957, at which time he founded W. T. Young Storage, Inc. The range of his business interests was most nearly matched perhaps by the breadth of his civic interests. He was awarded the Optimist Cup in 1970. Mr. Young was a director of the Breeders’ Cup Limited, the Kentucky-American Water Company, and the First Security National Bank and Trust Company of Lexington . He was a community leader in such organizations as the YMCA, Junior Achievement, Spindletop Research, the Red Cross, and the Cancer Drive. Mr. Young was chief of staff for Gov. John Y. Brown, Jr., and chairman of the Kentucky Economic Development Corporation, a private organization aimed at boosting economic development. He served as a trustee at Transylvania University for more than 30 years and was chairman of the board at Transylvania for 23 years. He was a University of Kentucky trustee and also served as chairman of Shaker Village of Pleasant Hill, Kentucky. 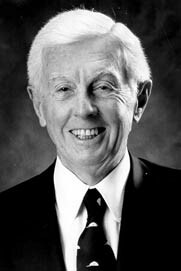 Mr. Young was an outstanding citizen, philanthropist and businessman. He was a major contributor and supporter of the University of Kentucky . His donation of $5million to the University of Kentucky library was the largest cash gift ever given by an alumnus. Mr. Young died January 12, 2004. He is survived by a son, William T. Young, Jr., and a daughter, Lucy Boutin Hamilton. His wife, the former Lucy Hilton Maddox, died in 2002.